WITH A NEW INTRODUCTION BY GEOFF DYER The world and his mistress are at Jay Gatsby's party. But Gatsby stands apart from the crowd, isolated by a secret longing. In between sips of champagne his guests speculate about their mysterious host. Some say he's a bootlegger. Others swear he was a German spy during the war. They lean in and whisper `he killed a man once'. Just where is Gatsby from and what is the obsession that drives him? 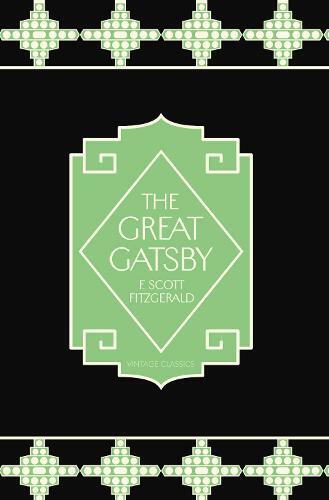 This edition of The Great Gatsby is the result of a unique collaboration between Tiffany & Co. and Vintage Classics. It is based on designs in the Tiffany &Co. archives from the twenties when F. Scott Fitzgerald's talent, beauty and notorious lifestyle made him one of best known writers of the Jazz Age.